There is a fine view of Grisedale Tarn and the valley from the descent to Grisedale Hause from Seat Sandal. 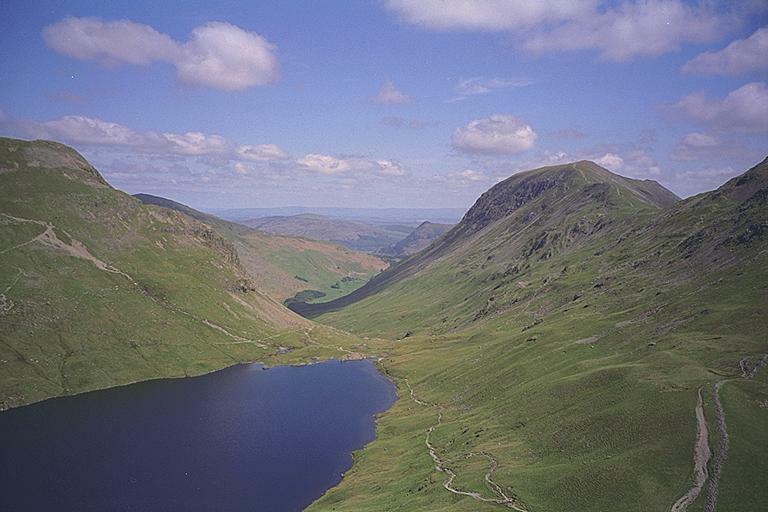 Dollywagon Pike appears on the left with that great scar of a path on its flank. St. Sunday Crag lies to the right with the flanks of Fairfield on the extreme right. Beyond the valley are Gowbarrow Fell and Birk Fell with Cross Fell on the horizon. Smaller version of this picture.